Shy, timid, introverted…words like these could never, and will never, apply to Puma. If the standard colorways aren’t enough to knock you off your perch with the Swoosh or the stripes, they’ll hit you with a mismatched Tricks or go nuts with their Graphic colorways. The newest evoSpeed and evoPower cleats are no different to past iterations as the big cat has painted these boots up to stand out from anywhere on the pitch and let E-V-E-R-Y-B-O-D-Y know, you mean business (but with flair!). Meant to mark the return of the Champions League, both boots have been given some extremely intriguing looks. The evoPower 1.3 is doused in a toebox of safety yellow and predominantly black upper, but with small graphics that, at first, appear to just signal that the upper is inspired by modern technology or graphics. 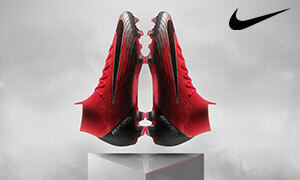 However, a closer look showcases a skull on the instep weaved into the structure of the graphic. The colors are a winner for this boot, but the skull certainly takes this boot in a direction that will suit a particular niche of player. 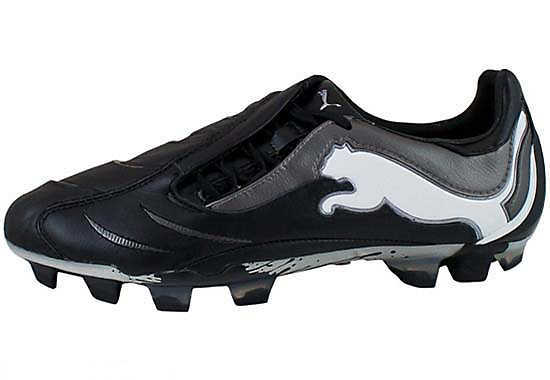 Having tested the boot and being impressed time and time again with Puma’s power silo, we think this over the top design will still end up being underrated. 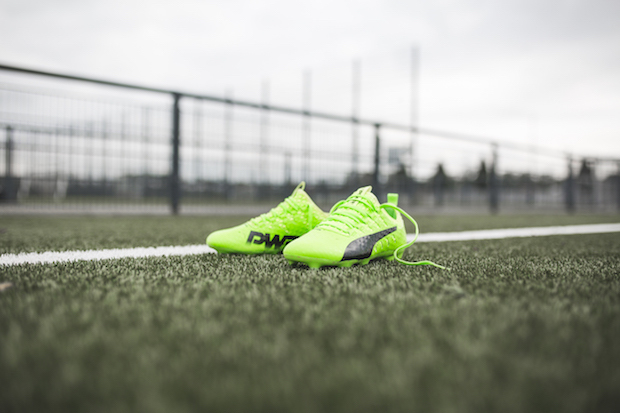 The evoSpeed SL II’s design sits perfectly with Puma’s uber-lightweight silo. With only hints of safety yellow and orange and the heel and edges of the forefoot, the boot is mainly covered in black. However, much like its power counterpart, the instep has a skull drawn into the upper. 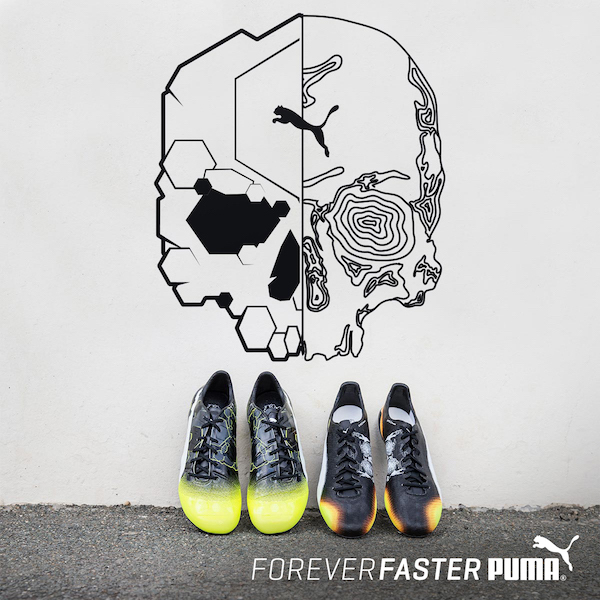 The skull on the evoSpeed is much easier to discern as it sits on its own, but the message is still there…these boots are ready for a battle to the death! It doesn’t matter whether you want extreme power or ridiculous speed, these boots are not messing around. 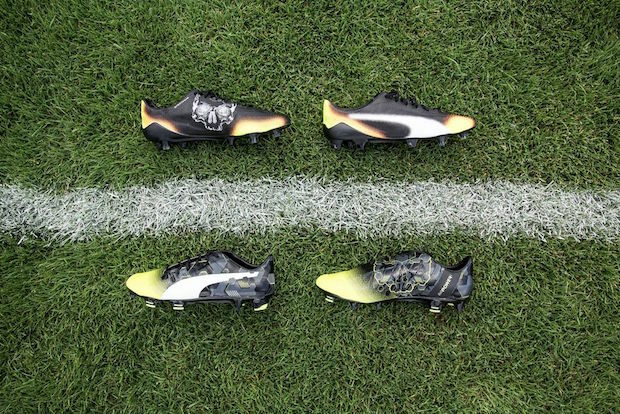 While throwing skulls on our boots isn’t typically our thing (we’re still struggling with that logo on the original HyperVenom), Puma has their own set of rules. Continuously getting overlooked while still dropping amazing gear, that’s definitely a recipe for a brand to start headhunting. If you’re in the market for something new, and you want every player in your wake to remember your name, kill ’em with the big cat. The Puma plague, raining death on us all!